This year I had the opportunity to attend my first Salon Son & Image show which is held annually in Montreal, Canada, this year for the first time at the Hilton Bonaventure hotel. There were about 70 exhibitors at the show which included manufacturers, retailers, media, installers and parts suppliers. I will break my coverage up into three parts - this general overview, DIY Audio at the show and my show favorites - which will follow in the next day or two. 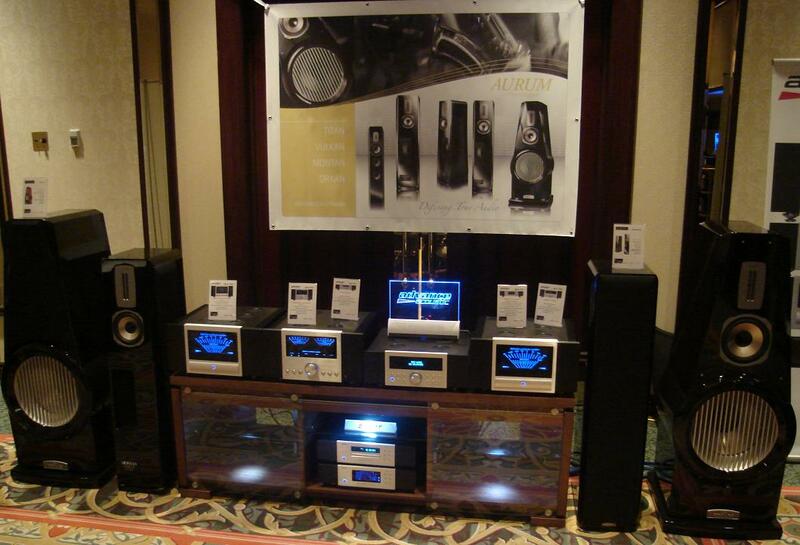 Like most, I was very curious to hear how nice an ultra high-end system would sound. 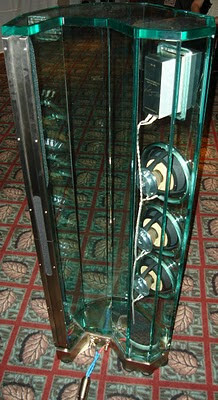 So one of the first rooms I visited belonged to Cabasse Speakers where they were showing off their La Sphere 4-way concentric speakers. 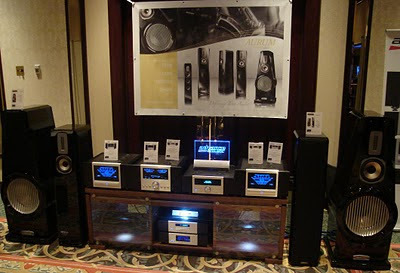 The system shown below is in the order of about $180,000CDN and consisted of Cabasse La Sphere Speakers, a Cabasse outboard digital crossover; eight ICE Module amplifiers and McIntosh's C2300 preamp and MCD500 SACD/CD player. Browsing through the various rooms, the Pathos T.T. amplifier shown below caught my attention with their big orange capacitors because it reminded me of Mark Houston's Synergy - DIY LM3875 Gainclone Amplifier. Over the past few years I've had the opportunity to enjoy a number of great sounding headphones and I am currently living with a pair of Sennheiser HD 595. The Sennheiser display was an aural treat for headphiles. I took some time at this stop and listened to a set of HDR 180 which sounded quite decent for wireless headphones. But moving on to the more serious cans, the Sennheiser HD 650 were very nice and an overall improvement over my HD 595 which were also on display and sound great too. 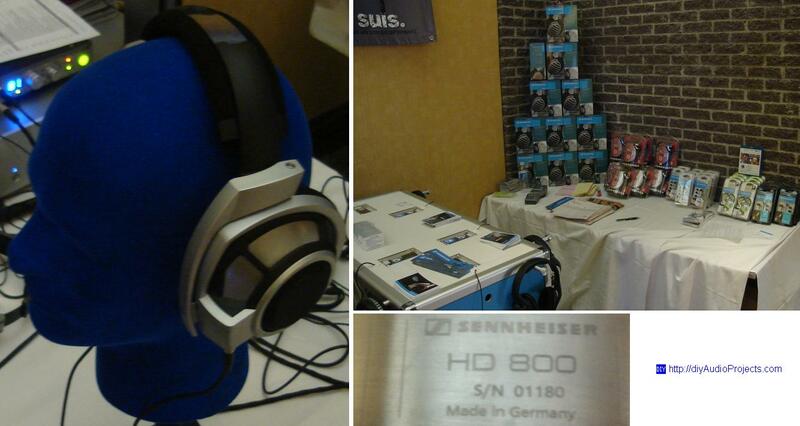 But the candy here were the $1800CDN Sennheiser HD 800 which quite frankly are the best headphones I have ever heard. Apparently I spent a little too much time with the HD 800 wrapped around my head as quite an unimpressed line-up had formed behind me while I was hogging the headphones. 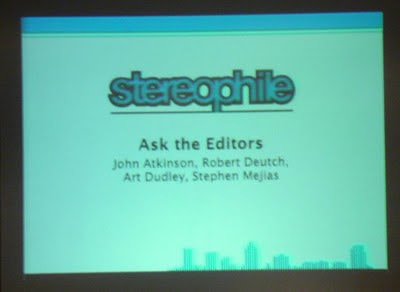 The SSI show is partnered up with Stereophile and on Saturday afternoon they hosted a Stereophile - Ask The Editors forum. There was plenty of interesting discussion. 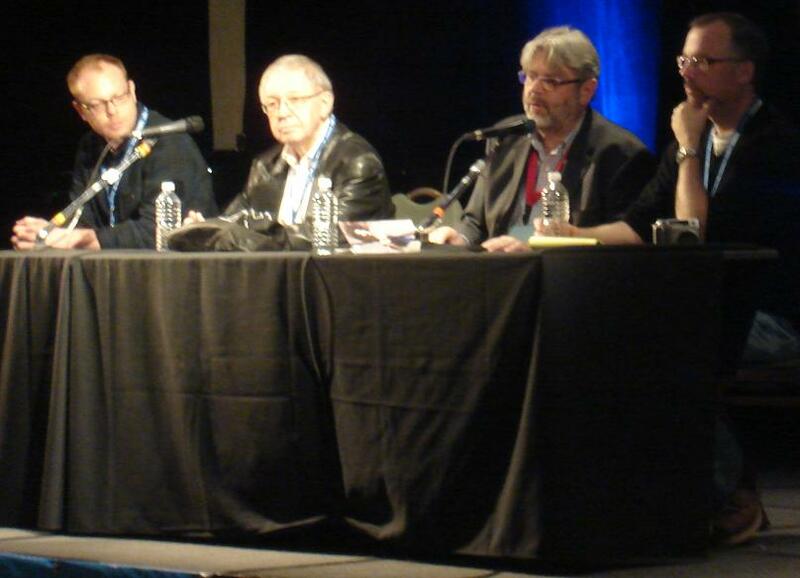 One attendee asked the question: Why have active speakers not caught on? While most of the editors agreed that technically less in the signal path is better, it was generally agreed that the consumer prefers to have a choice over the amplifier - chacun à son goût as they would say in Montreal. There was also some insight into future Stereophile articles. 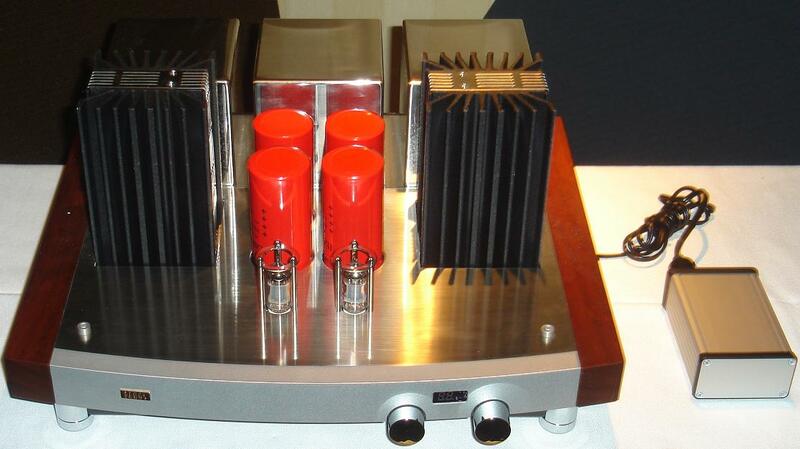 On the topic of more vintage equipment reviews in Stereophile, the May issue is slated to contain an article on reconing of a pair of vintage Advent speakers and in the Fall, a review of a 40 year old pair of Acoustic Research AR3a speakers is planned. Shown below are Aurum Speakers driven by Advance Acoustic components - the meters on the electronics were very eye catching - big look and big sound. 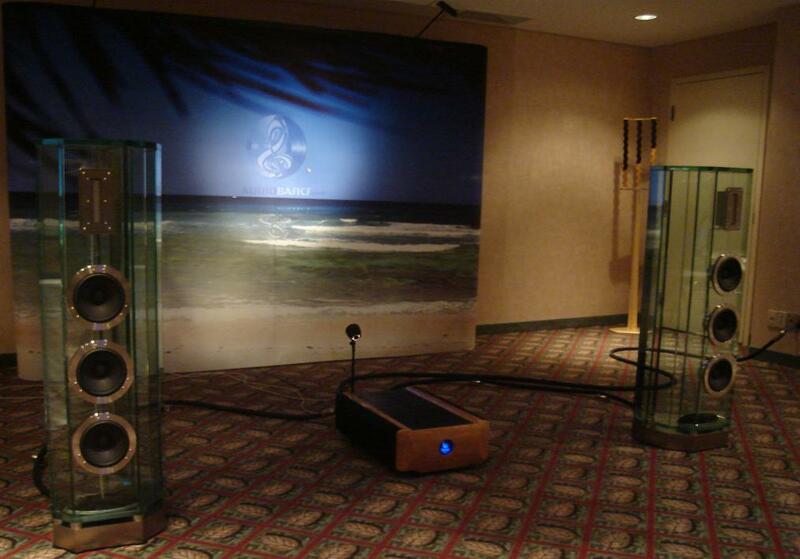 The voice of Canadian jazz artist Diana Krall performing 'S Wonderful sucked me into the Audio Basics Inc. room where I had the pleasure of listening to the literally transparent Arabesque Speakers by Crystal Cables which retail for about $80,000CDN. Driven completely by Tenor Audio components this made for a very delightful venue which was very popular amongst the attendees. See you don't need clever design just some cheap red caps. I have read up on Tenor gear. Transistors not FETs. What would Mr Pass think? Thanks for the show coverage. I normally try to attend this show but could not make the short trip this time around. Looking forward to more coverage.